One of the big temptations in traveling to another land is to expect many of the familiar things there from your home country. Or if those things do not live natively in the host culture, the temptation is to somehow import them. 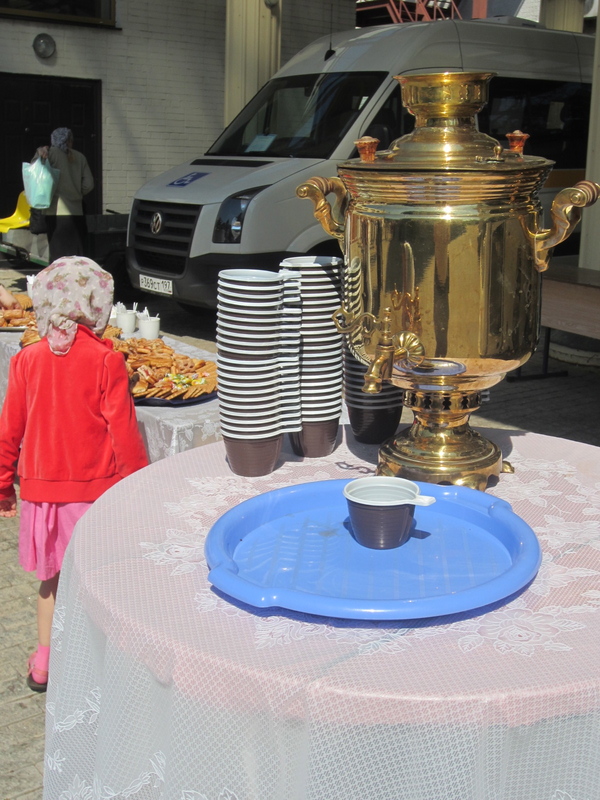 Such a tradition for us is the great American church custom of coffee hour. Yes, that’s right, coffee hour is not a given at churches around the world but is a distinctively American custom for Christians to gather after a Sunday service for at least coffee and donuts and sometimes a whole lot more. 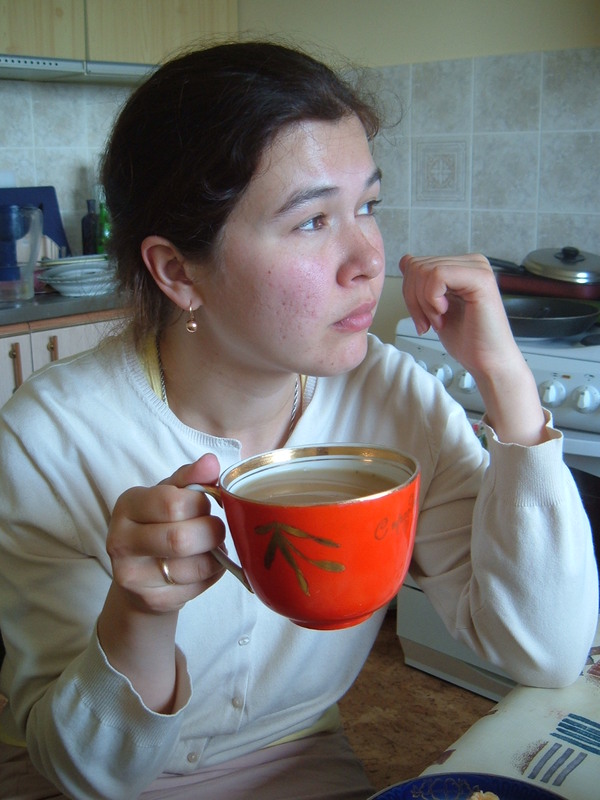 I have given up finding the perfect cup of coffee in Russia. Such a thing just does not exist in a culture so based on drinking tea. 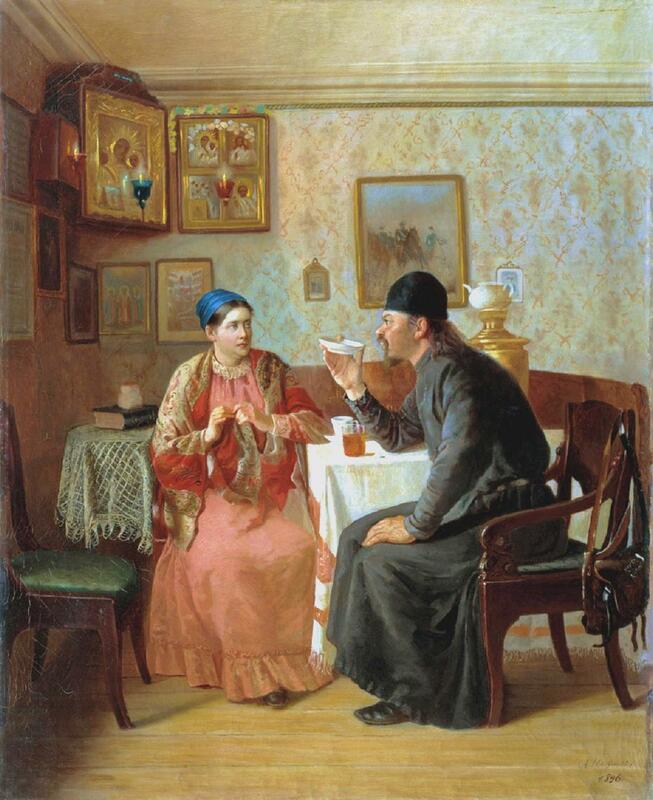 A wikipedia article I researched reports that 82% of Russians drink tea on a daily basis. In Greece, they have a saying, “Everything is possible, and everything is impossible.” In Russia, at times it seems that only the latter is true. Yesterday, we spent nearly the entire day attempting to set up a wireless connection for our laptop to no avail. But as I said in a previous post, these difficulties are gifts from God so that we may rely more on His power and less on our strength or the strength of human systems. In the afternoon, I have my first experience in Russia with a trapeza (a sit-down meal in which the head directs the conversation or reading in a spiritual way) at our apartment attended by a priest traveling through Moscow from Ulan Ude. I have been to larger monastery trapezas, but this time it was only Fr. Alexei, an igumen (head) of a monastery in eastern Siberia, and our family in attendance. 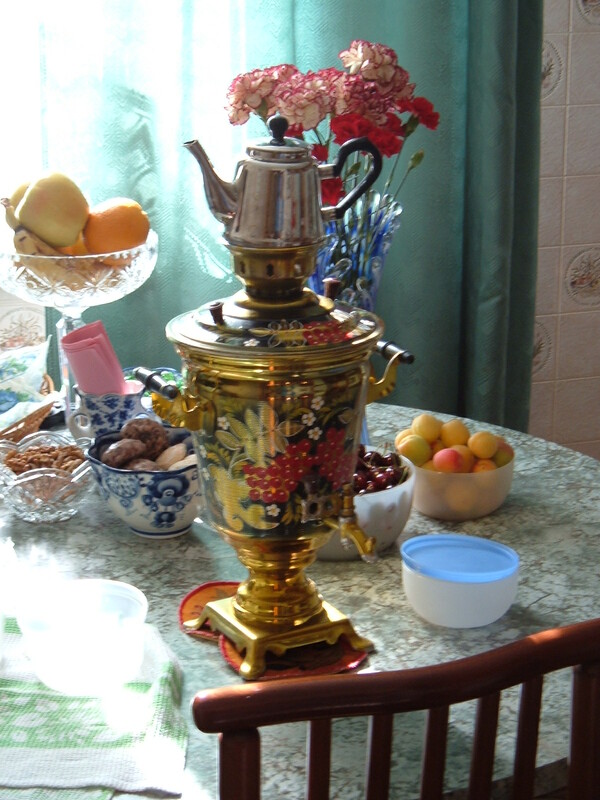 What a treat to speak to a batiushka (Russian diminutive for priest) from a remote southeast corner of the motherland! Tales abounded of overcoming bureaucracies to bring much needed improvements to local villages and of bringing the faith to areas with many nominal Orthodox and few churches to serve them. Truly, the situation here in the capital, with a church on almost every corner, is not yet so in the outlying provinces where they are just beginning to rebuild after the fall of communism in 1991. Still, the overall tone in the Orthodox Church in Russia is revival and renewal, with new churches being built constantly, and it is a glorious thing to behold.